Having the 3rd best access to loans from SBA funding in the United States, Ohio is one of the best places where you can launch your business. So, if you are planning to start a business here, you are on the right track. Ohio has a lot of great things to offer you. Just ensure that you follow the steps in the right way when starting your business in Ohio. The very first thing towards the becoming a business owner is to decide which business would you like to open. And even though it feels like a simple thing for starting a business in Ohio, it is not. Looking for an idea is not just picking up any idea that someone suggests to you or you feel that people need. It is also something that you are able to handle and give the best while implementing the idea. In short, you need to pick up the idea that would suit your interest and your personal goals. It should be something you can take care of, and you are capable of doing. With the right business idea, you would always be motivated and work towards getting the best out of the business. You would be inspired by it daily and you would love your business a lot making you want to work as much as you can. And what’s better than this; the productivity would be high, you would earn profits with the business and you would never get bored of it. Product Development – What is the thing that your business would solve or offer? Also, what is it that would make your service or product better than your competition? Sales & Marketing – Do you know who your potential customers are and if you do, who are they? Do you have a plan on how you would get them attracted and eventually convert them into buyers of your service or product? 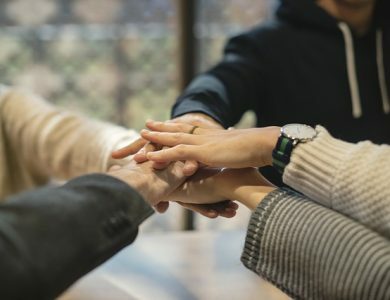 People and Partnerships – What are the kind of employees that you would need in your company? What would be their roles and what would you offer them to build your professional relationship while both parties work together to help the company succeed? Financial Planning – How many sales as well as clients would you have to make to earn some profit in the company? How much capital would you need for you to reach the profit earning stage and from where would you obtain the capital? Well, before you can move ahead and register your company with the US government, you need to select the type of legal structure that would hold your business. There are multiple number of structures and each of them have their own pros and cons. All you need to do is select the one that would suit your business the most when you are looking for starting a business in Ohio. Also, keep in mind that each structure has its own tax benefits and drawbacks, while each state has its benefits too. Check out the best structure for the state you are in. For instance, a corporation or an LLC is the best business structure choice. 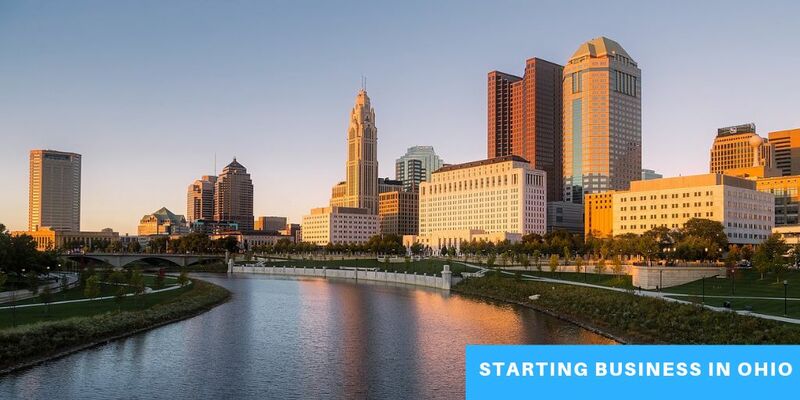 For you to launch a sole proprietorship when you are starting your business in Ohio, you would not have to file any documents for the organization with the state. You can just begin operating your business without any trouble. Being one of the most simple forms of business entities, there very little formal accounting requirements. Moreover, you would not have to file for the taxes separately. Instead, you would file for the taxes on your personal income tax return. Also, you would be easily able exchange the business and personal assets. The drawback for this form is that the owner is liable for any obligations, debts and anything that happens to the business such as the lawsuits. And in such cases, the personal assets are also treated liable along with the business assets. Moreover, since you are reporting the business income with your personal income, you would be limited in the amount of deductions you can made to the taxes you pay. It would just cost you to pay a lot more taxes as compared to paying the taxes for the business separately. Also called the general partnership, a partnership in Ohio is another form of the business entity. For starting a business in Ohio as a partnership, there is no need to file any documents with the state. Even though it not legally required, having the partnership agreement would help avoid any issues that might come up between the partners. The tax payment for this entity works the same way as the sole proprietorship. In short, each partner would have to pay for their percentage of earnings made by the company. So, they would have to report the taxes on their personal tax return and avail as much as deductions as possible. And although there isn’t any income tax paid at the partnership level, there can be local and state taxes for a partnership (which is not in the case when you are starting a business in Ohio). Due to this, the owners are liable for any lawsuits, debts or such issues that can come over the company. LLP stands for Limited Liability Partnership and is slightly the same as general partnership. But it has one main difference which is that the partners can register the company as an LLP with the state (only for a few states in the USA, including Ohio). This means that one partner would not be liable for any obligations or otherwise liabilities like misconduct, wrongful acts, malpractice, omissions, or negligence of the other partners/partner. This means that a partner would be liable only for their actions and not the other’s reactions. Moreover, the LLP’s tax reporting is the same as the general partnership one. Basically, the partner would have to pay the profits they earn from their percent in the business with their personal income tax payments. Also, each partner is liable for their own obligations just like in the sole proprietorship case. C corporation: When a person thinks about a corporation, C corporation is what comes to their mind. These companies usually use “Inc” at the end of their names. As a matter of fact, the C corporations have a continuous life, limited liability between the shareholders, virtually unlimited options on structuring stock ownership, freely transferable shares of stock, proper divisibility of assets between personal and corporate, and a favorable tax treatment for certain expenses. But with these great things come a few disadvantages as well. The drawbacks include the potential for “double taxation,” increased compliance formalities, and increased administrative expenses, which is because of the complicated accounting and tax compliance of filing the corporate tax return. Moreover, the “double taxation” situation comes up as the corporation is a separate entity and is not a pass through one. In short, the tax is paid on the income of the company, while the shareholders too have to pay the tax on their dividends from the company. Other than this, salary that is paid out is noted as the standard income. So, this is subjected to the FICA (Social Security and Medicare taxes) for both the employee and employer. In short, if you are starting your company in Ohio, and it is going to be a small company, then this type of entity is an “overkill” for you. It can work perfect for the companies that are expanding and growing into huge MNCs some time soon. S corporation: Another form of the corporation is the S corporation that operates like the C corporation but is taxed like a partnership. Other than this, there is a strict limitation on the S corporation’s structure which includes the type and number of shareholders the company can have. In short, this type of entity is the best for a closely-held and small company. The entity is not just a bad one, and has some advantages as well. One of the best one is the ability of slicing up the distributions to the shareholders and then eventually reclassifying those distributions. Moreover, the shareholders were taxed in their personal income tax return for what they earned from the corporation. Also, since they are self-employed people, the shareholders also had to pay the FICA (Social Security and Medicare contributions) taxes, which was 15.3% of what they got. But all this was painfully a lot for them. In 1984, the rule changed and the rates were lowered. Moreover, the owners began to pay themselves a dividend instead of a salary. With this, they began to save a lot as they would not have to pay the FICA (Social Security and Medicare contributions) taxes. But for those who don’t know how to go around this can fall in trouble with the IRS. Hence, it is better to take the help of professionals for this. Even though the tax benefits are good in this case, there are many other limitations. LLC stands for Limited Liability Company is known to be the best kind of business entity other than a corporation. This is a hybrid entity that has the tax option of being treated as a corporation or a partnership and has the liability protection of a C corporation. Moreover, the structure has a lot of flexibility which includes having unlimited number of members. The LLC also offers possibilities of expansion and ease of operation that makes it a much attractive option when starting your business in Ohio. In an LLC, the Operating Agreement outlines all the plans of the business management. It is also easier to get loans for an LLC where the agency or person offering funding would want to see the operating agreement first. In the OA, you would be able to limit the transfer of interest, set up who controls the corporation and how it is controlled. The LLC offers the pass through tax treatment where the owners can report their business income together with their personal tax return. And since an LLC is the same as the C corporations, as long as the owner’s personal assets and business assets remain separate, your liability would be limited to your business assets. Protection from personal liability in case your business is sued. But if you have a small company, registering it as an LLC is the right choice. This is because, an LLC is easier to set up and manage. Moreover, the tax treatment is highly favorable. In Ohio, you can easily set up an LLC for just $99 by taking the help of an agency like Inc Paradise. As a matter of fact, if you do not want to register your company as a business entity, you would be taken responsible for any liabilities and debts of your company. Additionally, the companies that are unregistered need to file the DBA (also called the trade name). After you have decided which business entity your company would be, the next step is to select a good name for your company. Being a corporation or an LLC, you would have to ensure that your name is different from the many other business names with the same entity type. One reason why is because, people can confuse your business with another one. And before this can happen, the name would not be approved by the Ohio Secretary of State (SOS) when you file for registering the name. If you visit the website of the SOS, you would be able to search if the company name you are choosing has been used or not. Once you find out that the name is available, you can reserve the name for about 180 days. This is done by filing the name reservation file with the SOS of Ohio. Moreover, you need to keep in mind that there are some specific name requirements for the corporations and LLCs. For the LLCs, you would have to use the word “LLC” at the end of the company name, while for the corporations, you would have to use the word “Company” at the end of the name you choose. On the other hand, the partnerships and the sole proprietorships in Ohio would have to file the Fictitious Name Registration with the Ohio SOS. This is only in case they use a name for the business that is not the same as the names of the various partners (for a partnership) or the same as the name of the business owner (for sole proprietorship). Moreover, if you are a person who wants to do business online, you might have to register your business name just like your domain name. Additionally, if you want to avoid any trademark infringement issues, you would also have to cross-check the trademark you choose so that no one has the same or similar trademark. In case, it is a unique one, you can register it so that no one else can use it or create a similar one. Well, opening a company does come with many regulations that you have to follow. One such compliance that you need to comply with is getting the respective license and permits needed for offering a service or for manufacturing a product. Other than that, you need to first register your business. Registering your business is different from incorporating it. Let us understand the difference. Incorporation means choosing the business entity that your business would be as, and register that with the government so that you can operate as such. The idea behind the incorporation is to protect the owner from any liability or provide tax benefits. It is a list of regulations for various different business structures can comply with the rules of the government. In case you are about to sell goods in Ohio, you would have to register for the vendor’s license with the Ohio DOT (Department of Taxation). Moreover, if you are about to hire employees in your business, it is important to register with the DOT for any employee tax withholding. Other than this, you should also register for the sales tax collection, along with any other business taxes with the DOT. In case your business has employees or your business is taxed separately from you, you would have to get a federal Employer Identification Number (EIN) from the IRS. On the other hand, if you are not required to get an EIN, it is always advised to get one since there are many other business reasons for having one. One such reason is that the bank would need your EIN to open a bank account under the name of your business. Moreover, if you are working with another company, they too would need the EIN for processing any payments. Hence, it is important to have one. To get your EIN, visit the IRS website and fill the online application that has no filing fee. Some other specific industries or services such as the selling of alcohol, military equipments, etc. Any business that has a revenue which exceeds $150,000 has to register for the Commercial Activity Tax in Ohio. In case you are hiring employees in your business, you would have to register for the Employee Withholding Tax and the Unemployment Insurance Tax on behalf of your employees. In case you are selling a physical product, you would have to register with the Sale Tax Department in Ohio. In short, ensure that you have all the registrations complete before you start your business. In case you miss out on getting any important permit or license, you can lose your business and be held responsible in court for disobeying the laws. It would cost you a lot to come out of such trouble. So, it is better to have all the papers ready. When you are starting a business in Ohio and all the registration processes have been completed, the next step is to open a bank account with your company’s name. With a dedicated business bank account and a credit card, you would easily be able to simplify the process of keeping your personal and business transactions different. It would also simplify the overall accounting process. Other than that, it would also display your business as a much more credible one for both the customers and the clients. Moreover, if you have registered your business as a corporation or an LLC, you would also have to use the various credit and banking accounts so that you can protect your business from the corporate veil. It is highly recommended that every small business should purchase the general liability policy. Other than that, the companies that offer services or advice should get the professional liability policy. In Ohio, if you are a business with employees, it is required by law to have the worker’s compensation insurance. Starting a business in Ohio isn’t just about opening a company and producing things. You would also have to market your brand and let people become aware of it and what you are offering. As you develop your brand, think about what your company stands for. Create a compelling brand from which they can purchase high-quality services or products. So, find out what are the core values of your business and work on them. Now that you know all the steps towards starting a business in Ohio, you can now work on your idea and start your dream business. IncParadise can help you in the registration and incorporation of your business. Contact to know more!